Along what is—not arguably—one of the most scenic coastal rail-trails in the country, you’ll share your journey with plenty of amazing wildlife. Here, bald eagles nest and fish, moose and the occasional coyote hang out along the trail, and beluga whales breech in the inlet. Other wildlife aren’t far away, including foxes, wolves, bears, sea otters, and a host of seabirds. The route is short (11 miles), but other scenic trails in and around the city combine to create a mix of urban and park cycling. What better way to explore America’s last frontier, where mountains meet the sea, than from the seat of a bike? 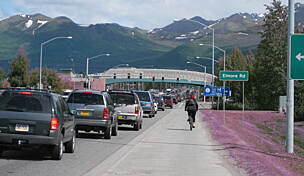 Fly into Anchorage and drive a short distance to your accommodations. We recommend either the Historic Anchorage Hotel or Susitna Place, named for the mountain peak to the northwest of the city. Built in 1916, the restored hotel is right downtown and is on the National Register of Historic Places. You’ll love the old-time feel with modern amenities and luxury rooms. Susitna Place is in a quieter part of the city, near the trail, and offers stunning mountain views and comfortable rooms. You’ll love Anchorage, a thrumming city on the North American frontier and offering plenty of outdoor recreation and engaging history. More than 40% of the state’s residents live here, but that amounts to only a little more than 300,000. The university’s presence adds another dimension to the city’s culture. Rent bikes from Alaska Pablo’s near the north end of the trail. Just look for the brightly painted blue railroad shipping container with yellow stars (Alaska’s flag) in the Diamond parking lot off L Street. Downtown Bicycle Rentals is another venue, on 4th Avenue between C and D streets. They also offer package deals that include a shuttle to the top of Flattop Mountain, where you can hike and also ride the bike back down hill to town. Stretching between Kincaid Park on the south end and where the railroad meets the sea at Ship Creek on the north end, the Tony Knowles Coastal Trail was named for a man who was both a mayor of the city as well as state governor (not simultaneously). 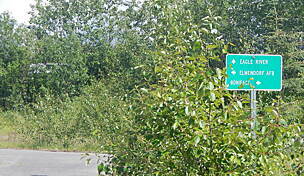 It follows part of the Knik Arm of Cook Inlet, named for the 18th-century explorer Captain James Cook. “Knik” is the local Aleut word for “fire.” Visit the trail website for a few more details on what you’ll see as you pedal. Begin at the north end by Ship Creek (2nd Ave. and H St.) and ride through tiny Elderberry Park. Here you can see the Oscar Anderson House, one of the oldest homes in the city and built in 1915. The owner was a man who claimed to be the 18th person to arrive in the “Tent City” at Ship Creek, which was the site of the first railroad hub. Also at Elderberry Park, visit Mars—yes, the planet, or really an interpretive sign about it. Along the trail, you will notice similar signs for planets Jupiter, Saturn, Uranus, and Neptune, as well as Pluto. The permanent exhibit is part of the Anchorage Light Speed Planet Walk, a scale model of our solar system. The markers demonstrate the relative distance of the planets from the Sun, and the scale is based on a leisurely walking pace that mimics the speed of light. Each step equals the distance light travels in one second—186,000 miles. (We’re not sure how that translates to the turn of a standard bike wheel.) The starting point for the planet walk is the Sun, at 5th Avenue and G Street; the rest of the planets (Mercury, Venus, Earth, and Mars) are located along 5th Avenue and run from east to west toward the trail. 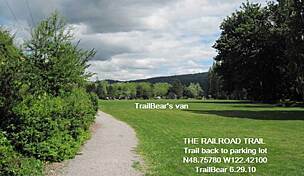 The trail parallels the tracks for the Alaska Railroad while hugging precariously to the shores of the inlet for 1.2 miles from the start until you pass under the tracks at Westchester Lagoon. Pull over here to try your skills at the outdoor workout station. You won’t find views like this in your local gym! You might see red-necked grebes on their floating nests, as well as other wildfowl. In winter, the lagoon becomes an ice rink. From the lagoon, wind south across Fish Creek, which is crossed via a short wooden bridge. The river has carved deep channels in the mud flats (when the tide is out, you can see them) and, in late summer, salmon migrate up to the estuary to spawn. It’s a popular fishing spot. Next up is Earthquake Park, where interpretive panels, and a short trail, will teach you a little about the 1964 earthquake and its effects on the surrounding area. You’ll see some old-growth trees in the area that were undisturbed by the quake, including huge cottonwood trees and birches. Compare that with the growth that’s been coming in for the last 50 years. From various places along the corridor you can catch glimpses of some of the local volcanoes: Mounts Redoubt and Spur, that latter which blanketed Anchorage in ash during a 1992 eruption. At this point, you may have already come across some local furred and feathered residents, bald eagles or red foxes, for example. Holes in the nearby sandy banks were made by bank swallows carving out nests. And of course, there are the moose. You’re most likely to see the latter munching on shrubs along the side of the trail. Give them a wide berth, slow down, and never approach too close. Shortly after Earthquake Park, around milepost 6, is the airport at Woronzof Point. If you like plane spotting, this is your spot. Because of its location, the city is a popular refueling stop for international flights. From the airport, wind your way another 5 miles or so to the southern end point at Kincaid Park, which includes 1,400 acres of rolling, forested hills and beautiful scenery. It’s a nice place to watch sunsets if you want to return in the evening. Of course, during summer, the sun doesn’t set much! For dinner, Anchorage won’t leave you short on places to eat. Kincaid Grill and Wine Bar (dinner only) serves local game and seafood, steaks, chicken, and salads. For pub grub, Bear Tooth Theatrepub & Grill not only dishes up not pizza, Mexican fare, and homemade root beer, but you can watch a film while you eat. It’s a popular place, so get there early. They serve brunch, lunch, and dinner. Chill out with a glass of wine at Crush Wine Bistro and Cellar. Their lunch and dinner menu includes small plates, appetizers, sandwiches, greens, and cheese and charcuterie. You can also purchase wines to go. Sacks Café and Restaurant features seafood (like most Anchorage venues) and a rotating menu of seasonal dishes that includes pastas, salads, and burgers. Start your second day off right with a delicious meal. The Snow City Café specializes in a variety of egg dishes and is open for breakfast and lunch. Try their poached eggs with house-smoked salmon cakes. 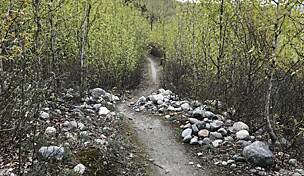 If you’re up for more riding, Anchorage has some other trails you might want ride: Ship Creek Trail (2.6 miles),Campbell Creek Greenbelt (7.5 miles), Goose Lake Park (1.5 miles), and Lanie Fleischer Chester Creek Trail (3.9 miles). 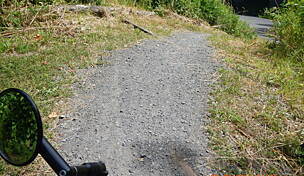 On the other side of the mountains to the south, along Turnagain Arm of Cook Inlet, you’ll find the Bird to Gird Pathway (13 miles). 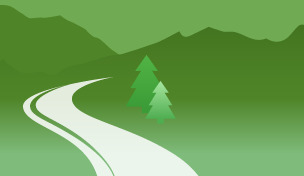 Anchorage Travel Information is the place to start for other things to see and do while you’re in the area. In addition, check TripAdvisor for a listing of outdoor guides who offer all kinds of guided adventures, from fishing to hiking to wildlife watching to boat and flight-seeing tours. 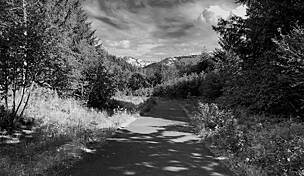 Chugach State Park is to the south and east of Anchorage and is accessible via Interstate 3. Below are some of our other recommendations. Anchorage Museum has an eclectic mix of art, culture, science, history, and natural history exhibits. It also has a nice planetarium, café, and gift shop. At the Alaska Native Heritage Center, learn about first peoples who have lived in this region for millennia. The Center is located in northeast Anchorage, next to Bartlett High School. 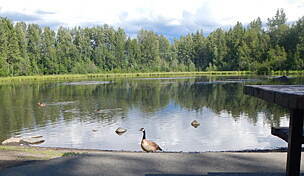 Alaska Botanical Garden showcases northern horticulture and native plants among a 110-acre spruce and birch woodland. The Alaska Heritage and History Museum, owned by Wells Fargo, has the largest private collection of its kind in Alaska. In addition to a collection of Alaskan Native artifacts and fine art by Alaskan artists, the museum highlights Wells Fargo history during the Alaskan Gold Rush era and includes a two-thirds-scale stagecoach. If you like airplanes, visit the Alaska Aviation Heritage Museum. Displays include memorabilia, photographs, films, and artifacts from personal collections of Alaska’s pioneer aviators. Finally, take in a show at the Alaska Center for the Performing Arts, including many genres of music and dance. Check the website for a calendar of show times. One of the best ways to see Alaska—besides from the air—is by train. Visit AlaskaTrain.com and Alaska Railroad Adventures for options on train journeys. 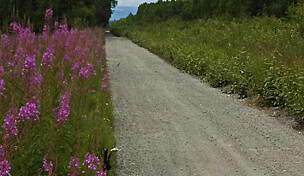 And since you’ve come all this way, be sure to check out the Chase Trail, 120 miles to the north in Talkeetna. We recommend taking the Alaska Railroad there, spending a night or two, then hopping aboard the train to Denali National Park & Preserve. You’re almost guaranteed some wildlife sightings in the park, including brown bears, moose, wolves, and more, not to mention some of the most awesome scenery in the world. What you aren’t guaranteed is a view of Denali, which is often covered in clouds. 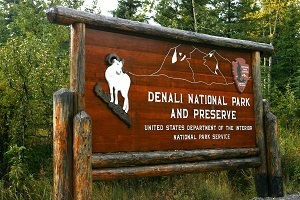 The Denali Park Road is open to private vehicles to the Savage River Bridge (14.8 miles). To get farther into the park, you’ll have to take a shuttle or tour bus. 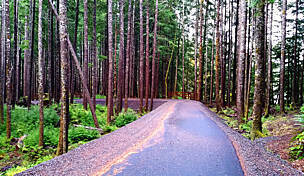 Bicycles and pedestrians can to travel on any part of the park road, barring temporary wildlife-related closures.